Last week, in partnership with The Trust For Public Land, TNF began to build a free, public climbing boulder in Palmisano Park on Chicago’s Southwest Side. The boulder creates a space for the local community to hang out and a new venue to enjoy the outdoors and explore. The climbing boulder will be the third public climbing boulder from The North Face as part of the Walls Are Meant For Climbing initiative, which builds free boulders across the U.S. to make climbing more accessible in underserved communities. In the heart of the Bridgeport neighborhood, the 26-acre park is accessible to 24,000 people in one of Chicago’s most diverse communities, serving as a launching point for the creativity inherent in climbing that TNF brings to its new climbing boulder. Palmisano Park and the Southwest Side of Chicago were selected for the third climbing boulder based on the community’s interest in new activities and its home within the beautiful Palmisano Park green space. 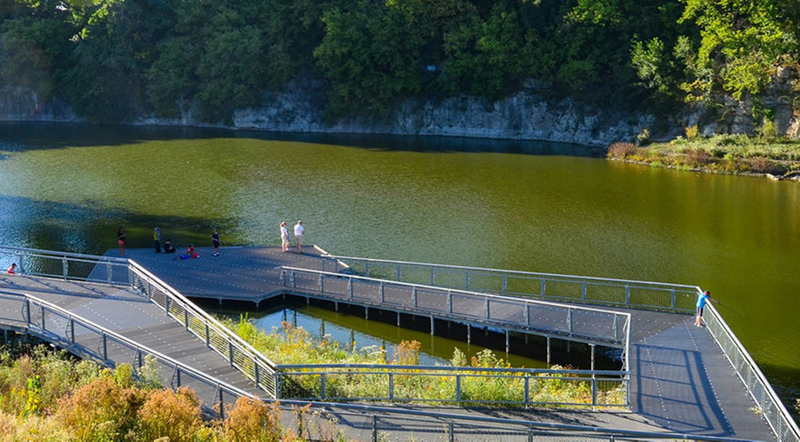 What really stood out was the rich history of the park; it has transformed many times over – from an ancient coral reef dating back 400 million years to a rock quarry and landfill to, most recently, a community-focused, sustainably-designed green space. When designing the boulder, we’re taking inspiration from start to finish from the community and space the boulder will permanently live. On Saturday, April 6, The North Face, in collaboration with local climbing group Sending In Color, invited local youth from the neighboring Valentine Boys & Girls Club to help design the climbing boulder they want to see in their own backyard. Kids also received a climbing lesson from The North Face Athlete Nina Williams, so they will be ready to apply their experience and use their new boulder the minute it opens. We hope that with every climbing boulder we open in a new community across the country, it will serve as a safe and activity-focused space to bring the community – all ages and all backgrounds – together. Learn more about Walls Are Meant For Climbing. Through the Walls Are Meant for Climbing initiative, in partnership with the Trust for Public Land, The North Face has established climbing boulders in the following locations?